Luxury British retail brand Fortnum & Mason has launched its first ever marketing campaign for Chinese New Year, created in partnership with full-service China marketing agency Hot Pot. Packed with Fortnum’s favourites including Champagne, tea, biscuits, chocolates and honey, The Fu Dai Hamper is now available at Fortnum & Mason’s store in Piccadilly, London. The hamper – Fortnum’s first for Chinese New Year – is aimed at Chinese students and young professionals in London, as well as UK-born Chinese and Asians who might not be able to go home for the New Year on 5 February, but are still keen to celebrate with friends or send gifts. There is also a non-alcoholic version that can be shipped overseas to Asia. Both versions are also available for purchase online. uDai, which translates as ‘Fortune Bag’, is a popular gifting tradition for friends & family at Chinese New Year. 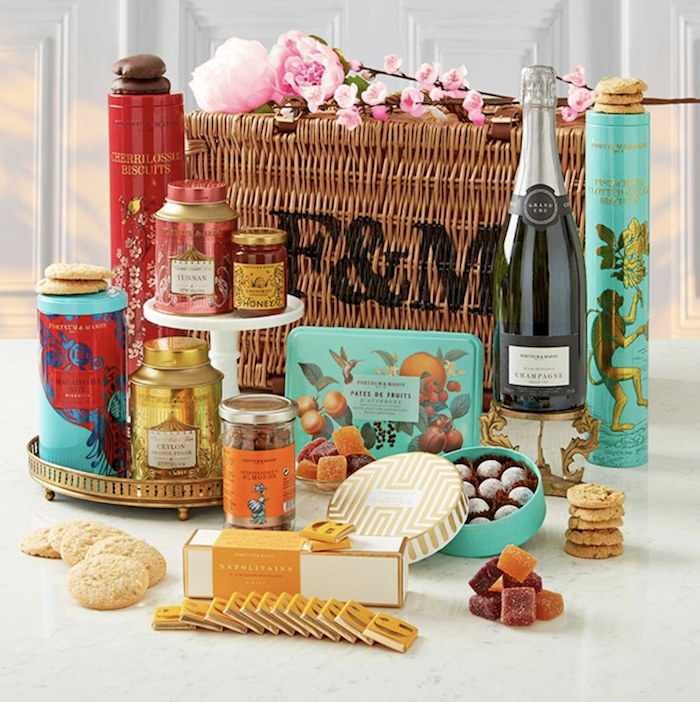 The Fortnum & Mason hampers celebrate this tradition with a British luxury twist, tying in to the retailer’s Chinese branding, as the character ‘Fu’ not only means ‘Fortune’ but is also the first character in Fu Nan Mei Son, the retailers’ Chinese name . Fortnum & Mason also hosted an event on Chinese New Year Eve – an afternoon tea at 4.00pm UK time, which marks the midnight start of the New Year in China. Zoe Colegrave – Head of Online & Marketing at Fortnum & Mason, comments: “We know how important Chinese New Year is for families, but there are many in the UK who are unable to get back to China at this special time. Our hampers are designed to give those people a taste of the gifts, tradition and good fortune associated with New Year.